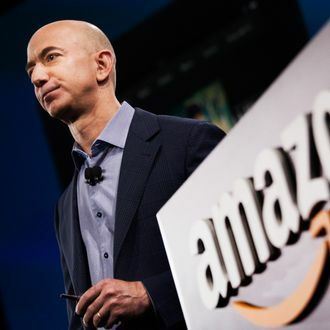 Since tech billionaire Jeff Bezos bought the Washington Post last year, many in the news business have been waiting for some digital experimentation at the somewhat stodgy newspaper. Last week, the Post’s internet competitor Politico negged Bezos’s paper as “more old school than cutting edge,” with “no major digital innovation, no radical new product launch, no change to delivery or presentation, and no promise of any specific plans for the future.” Today, however, comes news of Project Rainbow. For the last few months, a group inside the Post has been working on a new application that will offer a curated selection of news and photographs from the daily newspaper in a magazine-style, tablet-friendly format. The application will come pre-installed on Amazon’s newly updated Kindle Fire tablet, expected to launch later this fall with the larger 8.9 inch screen, according to people with knowledge of the Post’s plans. What Kind of Newspaper Owner Will Jeff Bezos Be? The news comes on the heels of a complimentary column from another competitor: The Times’ David Carr writes today that the Post “is in the middle of a great run, turning out the kind of reporting that journalists — and readers — live for.” He, too, however, cited the lack of “some digital lightning in a bottle” from Bezos, who was apparently keen to take his time. But patience has been the Amazon founder’s M.O. from the start. “I don’t want to imply that I have a worked-out plan,” Bezos said when he bought the paper. At Amazon, he was notorious (among shareholders, at least) for focusing on growth instead of profit margins. His “first mark” at the Post, too, was “a substantial expansion of the budget,” resulting in the hiring of more than 100 people so far in 2014. The experimentation, then, is right on schedule in Bezos-time.